Born in Brooklyn in 1933, Ken Jacobs is one of the truly legendary figures in the New York Underground. Artist, filmmaker, inventor, theatrical innovator and teacher—Ken Jacobs has been questioning and reinventing new film techniques for well over five decades. 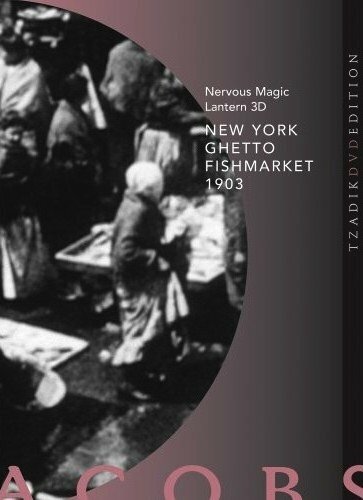 One of his most important and vital creations are his performances using the Nervous System, and New York Ghetto Fish Market 1903 is among his best. Poring over every frame of a vintage film from the turn of the century, Jacobs digs out magical details both unexpected and unprecedented. Accompanied by music and sound from vocalist Catherine Jauniaux and the late cellist Tom Cora, this is one of Jacobs’ masterworks.